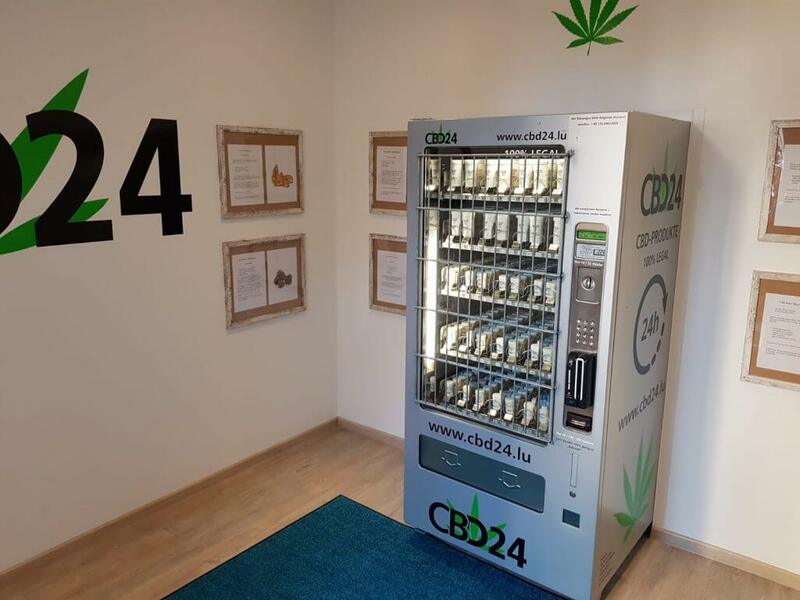 Cannabis in vending machines may sound like a surprising proposition, but that is exactly what we are starting to see happening across Europe right now. 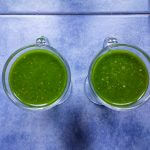 Of course, this is not psychoactive cannabis that can get you stoned. 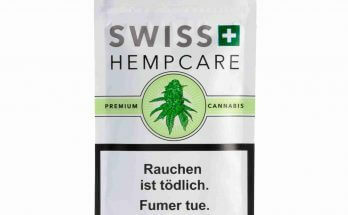 This is low-THC, high-CBD cannabis products now available to the public at the touch of a button in Trier, Germany. The vending machine joins a bunch of other machines already operating in Austria and Luxemburg. The first cannabis vending machines in Europe were actually installed in Austria and Luxembourg (in Wiltz, Echternach, and Grevenmacher). 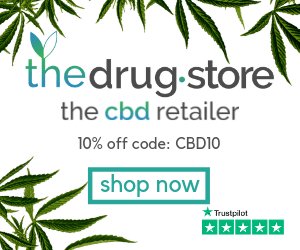 We are also beginning to see it in the US, with public CBD vending machines that sell capsules, gummies and drinks being installed in Brooklyn in 2018. 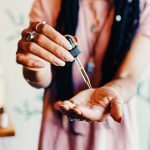 Products publicly in the US sold this way are completely free of THC. 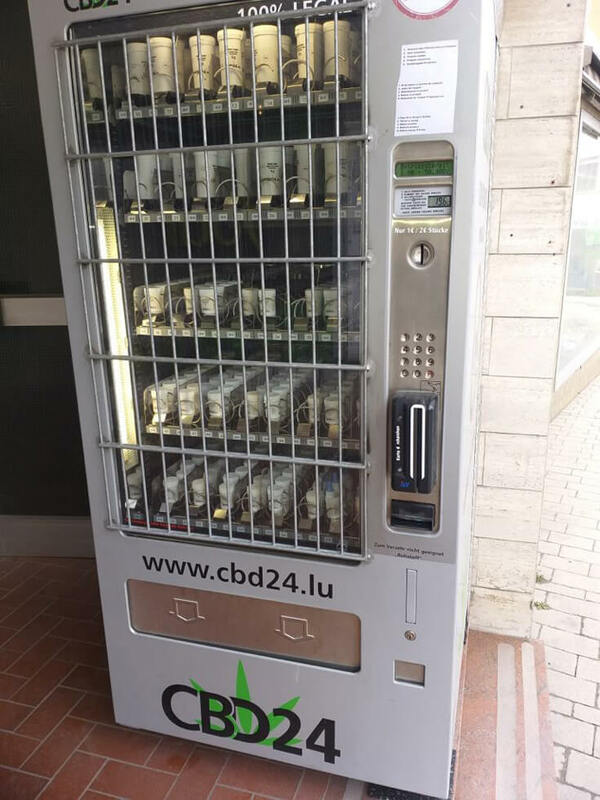 Greece has also installed cannabis vending machines in the centre of capital city Athens – one can be found on Panepistimou Avenue. Additionally, some cannabis dispensaries in Canada (which now has legal recreational cannabis) have vending machines actually inside their premises. 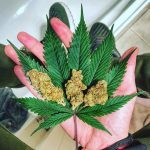 Are they the future of cannabi commerce? Vending machines have a much lower carbon footprint than walk-in dispensaries or shops so this is going to be something that we are likely to see more and more of. 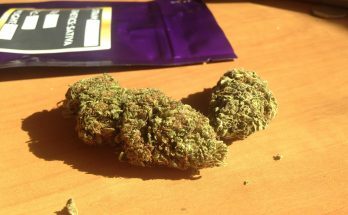 They obviously can’t do the same work as a budtender or customer service agent, but public vending machines offer an ‘always available’ service that could sell a lot of product when placed at a good location in a busy city. 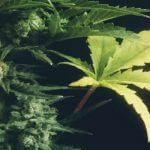 They are also a much cheaper way to distribute cannabis. And with cannabis dispensary owners always looking for cost savings, it is easy to understand how these machines could be attractive to business owners. 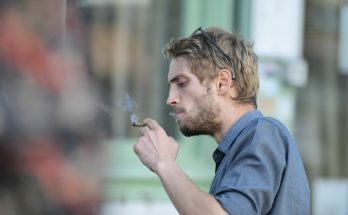 The cannabis products that are now on sale in Germany are totally legal. 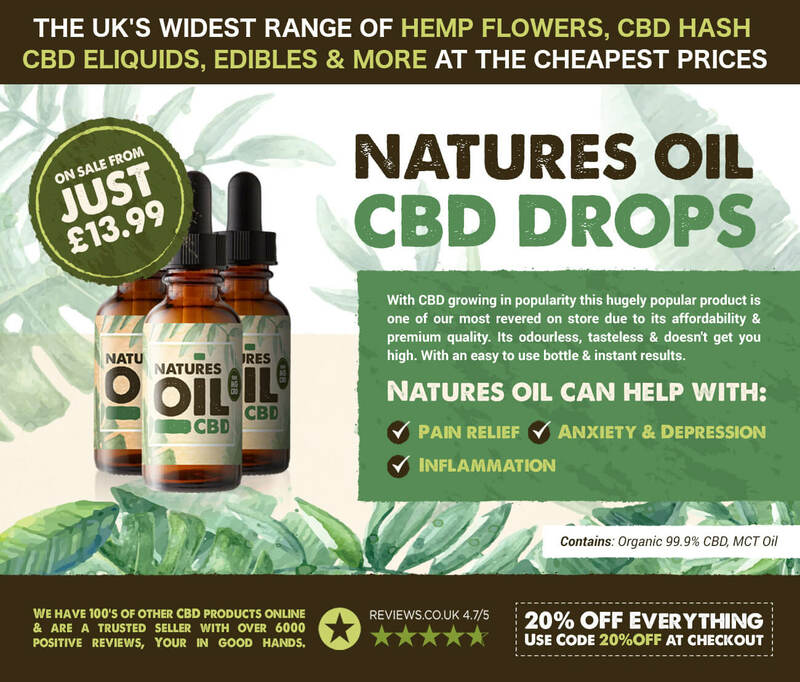 They only have a minimal quantity of THC in them, under 0.2%, but they do have higher levels of CBD – the non-psychotropic cannabinoid that has been shown to be a potent anti-inflammatory and to have anti-anxiety properties. 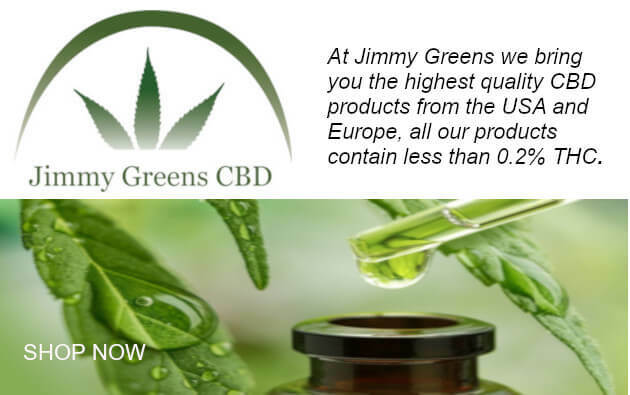 In the UK, for a CBD product to be legal, it must contain less than 1mg of THC per container. 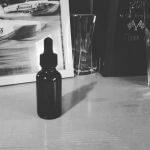 We discuss this law and what it means for the UK CBD industry here. 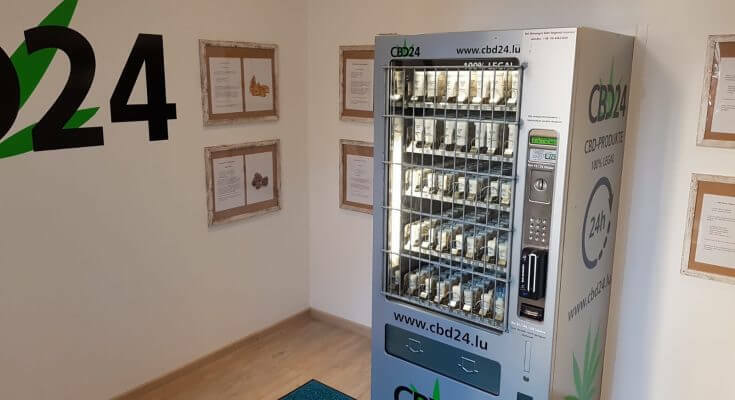 According to the vending machine’s owner, CBD24.lu, the products in the machine include CBD flower, which can be consumed like regular cannabis flower (smoked or vaped) or used for making tea or cooking with. This serious looking machine is the first of its type in Germany, where reactions have apparently been positive. So positive, in fact, that the owners are planning to make further installations of the vending machines in other German cities in the near future. There have been proposals to install vending machines with fully psychoactive cannabis at the main airport in Jamaica, but sadly the plans have not come to fruition. For now at least. 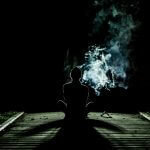 One can only imagine what effects such an installation might have on cannabis tourism to Jamaica. 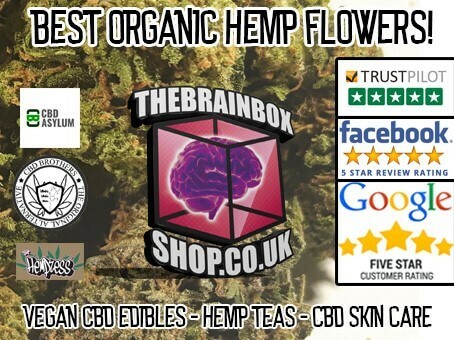 Would you like to buy cannabis out of a vending machine?